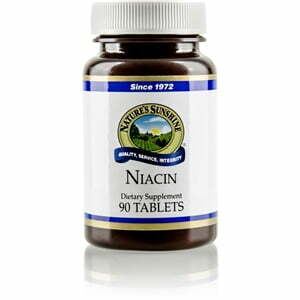 Nature’s Sunshine Niacin is a key nutrient for nervous system and energy system health. To function properly, the body needs niacin for a proper level of energy. 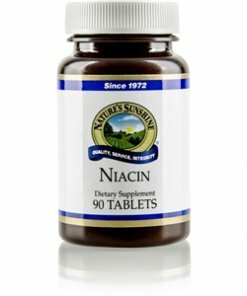 Nature’s Sunshine Niacin capsules contain 1,250 percent of the daily value or 250 mg of niacin. The formula includes an herbal base of hops flowers and feverfew herb. Niacin is best taken with other B vitamins. Di-calcium phosphate, cellulose (plant fiber), stearic acid (vegetable), silicon dioxide (powdered silica), and magnesium stearate.